1. 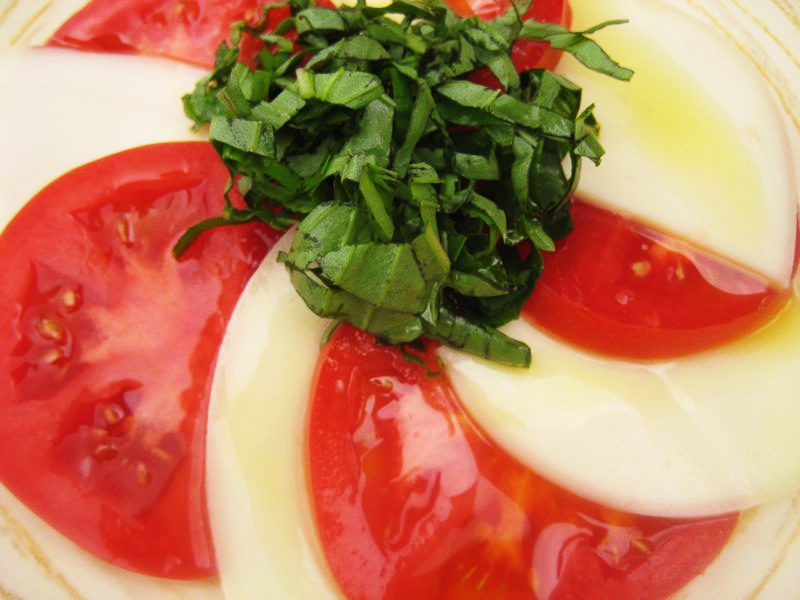 Arrange tomato and provolone on plate. Options: omit oil, add fresh ground black pepper, add imported Italian prosciutto. Check the label, but the imported Italian prosciutto tends to be legal.